Few months ago, while the Iranian -Israeli political relationship was on edge of war, few Israeli and Iranian people posted on facebook to each other-“we love you, we’ll never bomb you”… pretty soon there were many more Israeli and Iranian posting these human, loving messages to each other. Yair Dalal, Naser Musa, Hamid Saeidi, Miriam Peretz-dancer , Dror Sinai. 3. 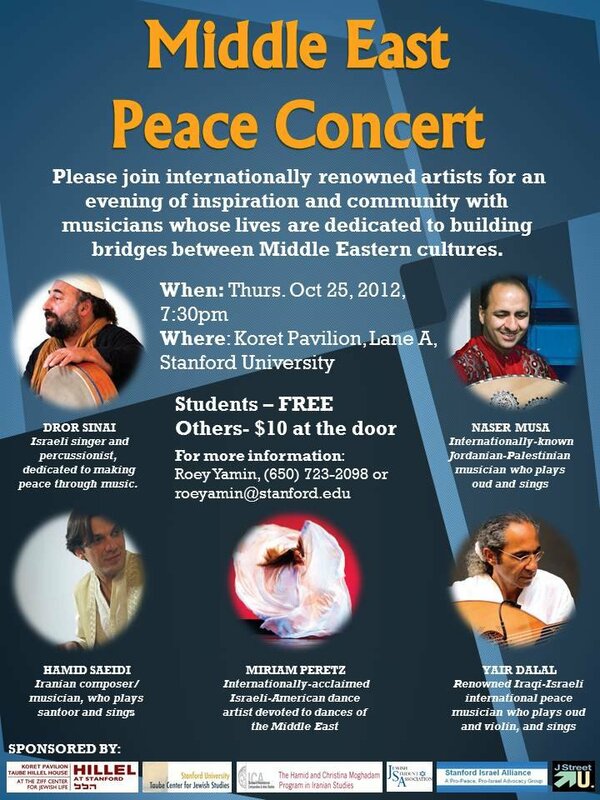 Concert- Bridge to Babylon Feb 03/2012, UC Santa Cruz, Ca. ** also receive $200 disc for each friend you inspire to join. Email me for Registration and payment form. ask me about university credits and if you want to form your own group and discount for lg groups. Please register ahead of time so I can prepare well. Do you remember an incident in your life that immediately changed everything? In my new learning, It’s called “source-Foundation“- this very moment of change of awareness IS a change in everything you do. Every change is a challenge. These exact experiences of “source foundation” moments that inspired me to appreciate, respect and gratitude all & everyone around me. May we experience a healthy, loving, Peaceful, joyful and prosperous year. So, If you had similar experiences, you probably agree life is now. Click pay and email me= for registration forms now! *** Also “Mid-East Drum Orchestra”– intermediate ongoing classes same dates. I practice on focusing my intentions on what & how I like my life to be and what is my contribution to the world. These manifestations allow me to Occupy my Own Reality and feel ALIVE. 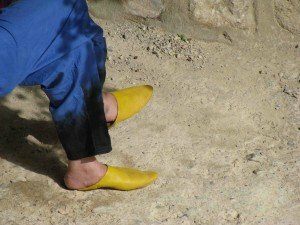 A Life changing Magical, Musical and Cultural Journey to Morocco. *** “Intro to hand Drums“- workshop Thursdays Nov/2011. I’m exited to offer this workshop again and share. we’re so blessed to have this opportunity. from a friend: “Dror, this group is AMAZING! They are Cubans, all descended from Haitian slaves who were tricked into a second slavery in Cuba in the 19th century. They sing songs handed down in their families, mostly in a French-Creole but also some Cuban songs. POWERFUL stuff!!! *** SIRENZ cd release show. Sat., Nov. 26th. Enjoy an evening of soul stirring a cappella. *** A doumbek class is forming Sunnyvale area. Hope to share some or all these events with you. So many things, events and happenings to help keep life ALIVE . I’ll mention few local and worldly events and will share more details as it gets closer. ** “Rock-Shabat” -Tomorrow-Fri-June 10/11,7:30 pm. 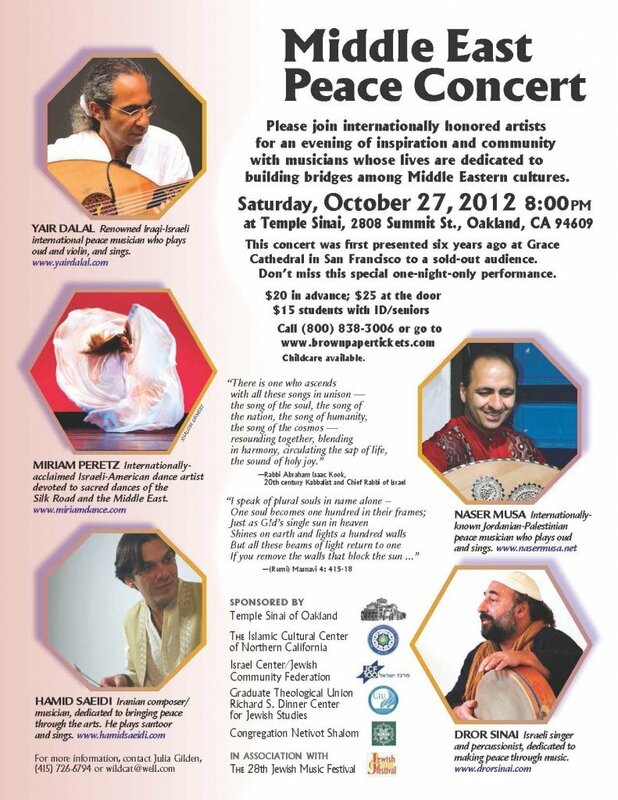 At Temple Beth El-Aptos. ** TEDx-Santa Cruz. June 11-Cabrillo College. “Ideas worth Sharing”- I’ll be there. 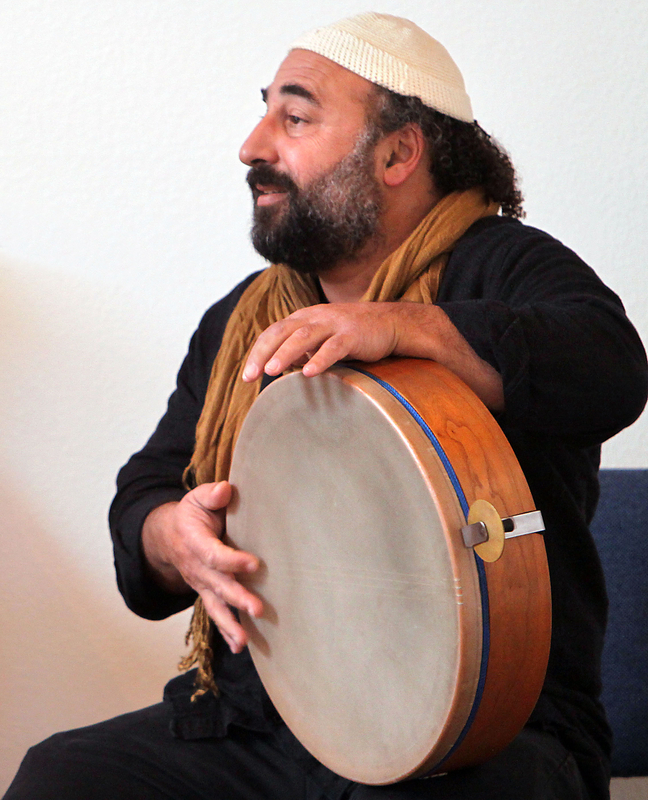 **”Intro to Doumbek” at the HAFLA in Half Moon Bay. I’ll be teaching Sun 4-5pm. 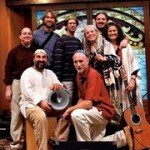 **Ash Santa Cruz House Concert-Father’s Day! Eva Salina Primack – if you never heard her sing-you must be there. If you did hear her sing-I know you’ll be there. Saturday, June 18 · 8:00pm – 11:00pmGREEK music, come and dance. I’m starting registration a year in advance. Details to come. Please communicate with me if interested. I have few open spots local in Santa Cruz, if interested. Pesah’ is approaching which also called Pesach or Passover, H’ag haaviv: The Spring Holiday or H’ag Hah’eirut: Holiday of Freedom. The story of The Israelites running away from slavery in Egypt ( in Hebrew pronounced-Mitsrayim which means “the narrow place”) – out to freedom. Spring itself has always a feeling of freedom. One of the strongest attitudes for me, is the concept that each of us has his/her own slavery within. And in the same way, each has the freedom within. It seems easier for slavery to rule, one can be passive and no need to do or act at all for it to exist especially in these times and culture of which I call “The system of slavery”. In order for FREEDOM to rule, we first must be aware and then act. I wish to inspire and bless you to find your freedom within. The way I choose to have my freedom is with constant checking in, with elevating so I can see the box from above (does it mean out of the box?) to be inspired and to inspire and always keep life ALIVE. So, when I invite you to my workshops, concerts or Mugical-Morocco, I don’t just sell you things but I offer to trade you a great deep inspirations and sometimes life changing experience, for few bucks. Want to bring your kids too? ** Few places are still avail, register now for Mugical-Morocco !!! I Came back from Florida exhausted and satisfied. with Yair Dalal, Frank London, Emanuel Man and myself. So, when you trust enough to be “uplifted” it may mean you’re also light enough to be lifted on a camel for a night on the Sahara dunes? ** 5 places are still avail, register now for Mugical-Morocco !!! Last day for early price!! **Rock-Shabat, April 8- 418 project.6:30pm. **I’m so lucky to be teaching & performing in Florida. Music dept. room 121, UFL. **April 6&7 – Gainesville & Jacksonville, FL. I’ll be also facilitating “An Intro to Frame Drum” class for multi level students from beginners to more experienced. Thank you Nancy Saahira for making it happen. I’m looking forward to seeing and meeting many of you in So. Cal. Plan on an exciting introduction to the ancient, and ever-changing world of percussion from around the globe. Various instruments will be introduced along with their cultural origins, uses, and contexts. To name a few: Frame drums of the Middle East, Bendir of Morocco, Riq, Doumbek, and Tabla of Egypt, Djembe of West Africa, Shakers, Rattles… Also covered are the origins and materials from which the instruments are made. 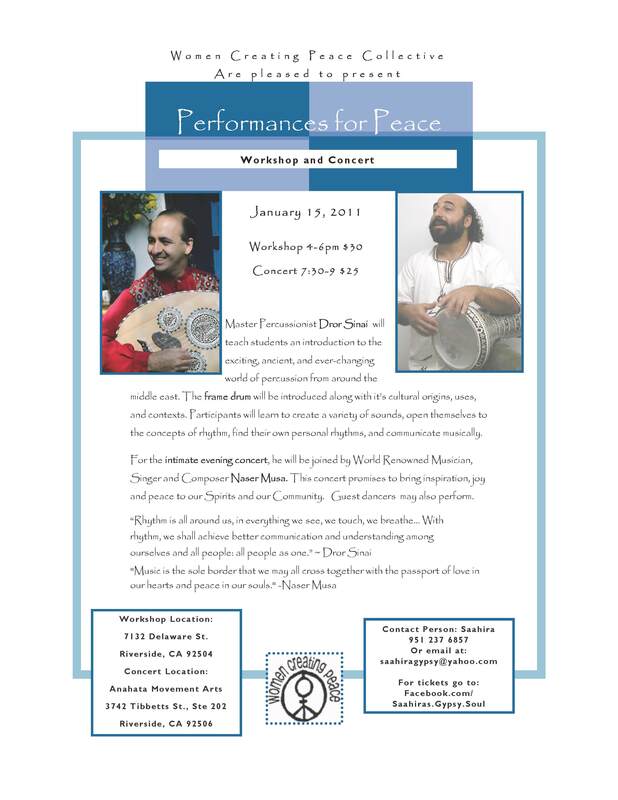 Art, culture, and demonstrations of traditional rhythms & songs. 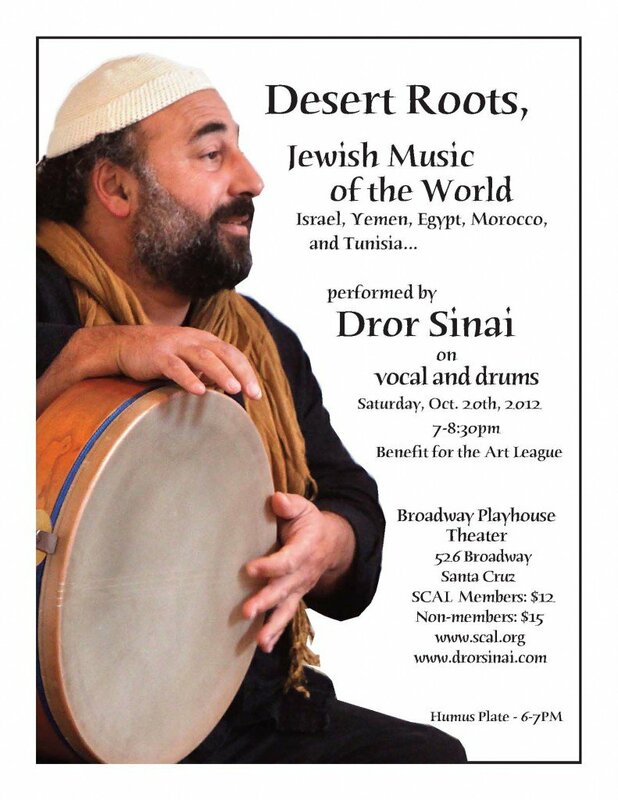 Dror Sinai is an international performer, educator, and guest artist, as well as the Founder of Rhythm Fusion, Inc. in Santa Cruz, CA. In 2002, he received the Gail Rich award for supporting the arts, and is a founding member of the World Music Committee for the Percussive Arts Society. Dror has presented lectures, clinics, and workshops to diverse audiences, including Universities, schools, community gatherings, for both children and adults, and has taught both professionals and amateurs; he has been a featured instructor for Spectra of the Santa Cruz Arts Council. Dror loves to share his joy of music with all people. For our kids, and for the kids in us. Reception with appetizers 4:30-5:00; Please see sign up list at desk if you would like to bring an appetizer! For more information, contact Susan at (831) 484-2550. Toro Park School, Monterey, Ca. 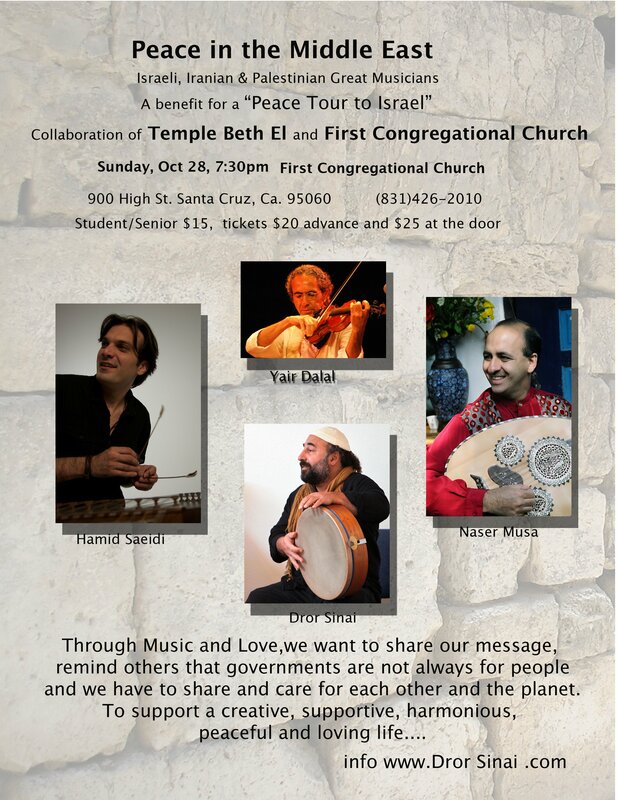 at Temple Beth El, Aptos, Ca.